Who Ya Gonna Call to Make Everything Easier and Less Stressful? Not long ago I picked up a voicemail from my friend Ruth asking for help with an upcoming presentation. She’d been up to her ears with a big deadline and while this was important – it was an internal presentation to a group of IBM women – it was not part of her “real” job. She was in a bind; the presentation was in two days. Ruth knows her stuff and she could have pulled off a good enough performance. But she was speaking on a topic she’s passionate about and didn’t want to give short shrift to the women who’d be showing up. But she was running out of time. I’d not heard the expression before but I immediately loved it! She went on to say, “I have 911 friends I call when I really need help and 411 friends I call for information. Though she used the word “friend,” she meant it in a much broader context … all of your relationships whether professional or personal. 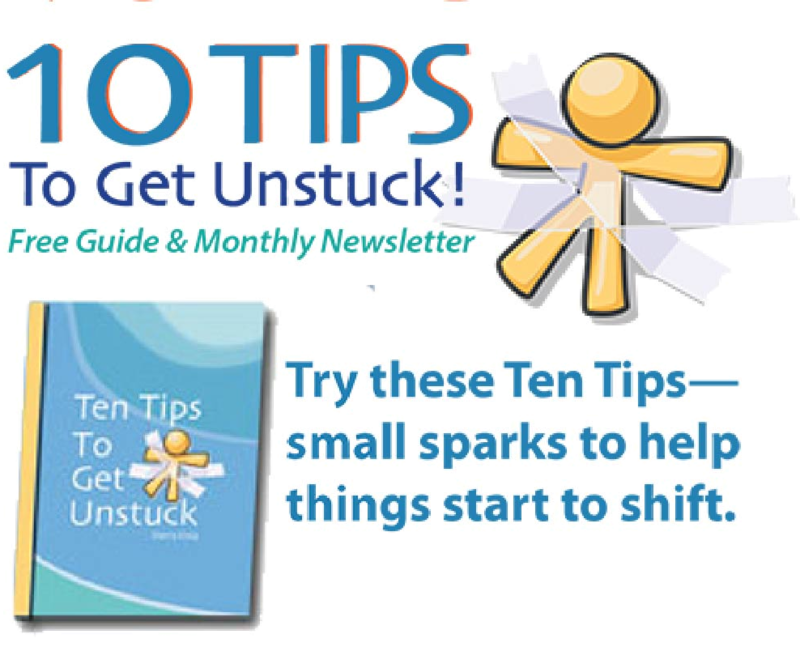 Your 911 and 411 networks help you stay unstuck. Your 911 friends are the people you call when something has gone sideways and you need help now. The co-worker you call when you’re stuck on a project with an approaching deadline and you’re ready to pull an all-nighter. The neighbor you call to host your kids for dinner, so you can deal with a client emergency. The friend you call when you’ve had a horrible week and need to be dragged to a yoga class to save you from the box of chocolate. One of my more memorable call-a-911-friend opportunities came when my web host (now ex-webhost!) began misbehaving right after I’d announced a new program. I put in a late night SOS call to my friend Grace who not only knew exactly what to do, but actually took care of the problem for me. Your 411 folks are the ones you go to for information. They have the facts you need or know where to direct you. The old adage, “you’ll never remember how to spell [fill in your word] if you don’t look it up yourself,” isn’t always the best advice … often it’s easier to simply ask someone who already knows ;-). So know who to dial up when the going gets tough. When you know who to call, things are quicker, easier and so much less stressful. It helps keep you from getting bogged down or banging your head against the wall. And the bonus is you’ll deepen relationships by asking … most people appreciate the opportunity to help. The key is to know who your two groups are. Scrambling around in heat of the moment is not the time to be frantically scrolling through your contact database wondering who you can call. Start your own directory of 911 and 411 friends. Take a few minutes and write down their names. And then keep it handy for when you need it. Of course help is a two-way street. So the second part is to write down who you are a 911 friend to. As much as people are happy to help, it’s often harder to be the one asking. So, let them know that it’s okay to call you when they need something even if it’s short notice, the middle of the night, or whatever it is that you’re offering. As wonderful as it is to have someone make our own lives easier, it’s just as nice to make that difference for others!